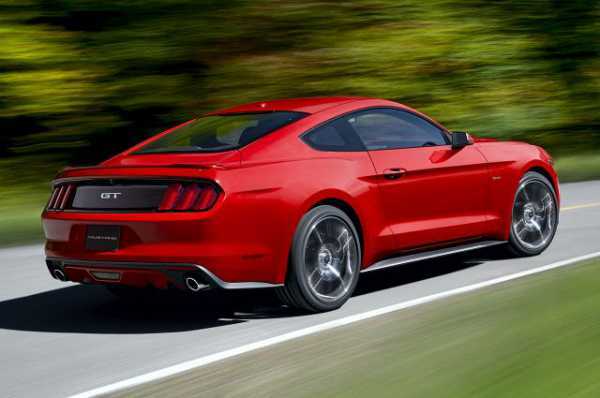 Customers will be able to choose the 2.3-liter EcoBoost four cylinder turbocharged engine that produces 310KS and 320 lb-ft, and it is the first turbocharged version of the Mustang SVO from 1986. 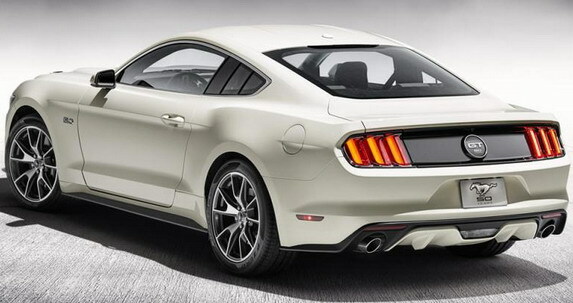 The third offering in the 3.7-liter V6 engine, which is the basic offer and declared it to 300hp and 280 lb-ft. The power delivered by the engine is slightly lower than last year’s 305hp, and this is done to make this clearer aspirated six-cylinder was placed under EcoBoost turbo unit. Home prices in the U.S. is $ 24,425, which includes the cost of delivery vehicles. Ford has significantly redesigned the Mustang for 2015. The car has a new suspension with independent rear setup, stronger brakes, the enhanced entertainment system info and more interior space. The car is stylish refreshed and got improve aerodynamics. It turned out to be unfounded fear that the addition of new technologies lead to significant growth in the weight of the car. According Ford data, the lightest model is a variant of the EcoBoost engine and automatic transmission, which is a heavy 3522 lb. It is only 28 lbs more than last year’s lightest model, equipped with a V6 engine and manual gearbox. 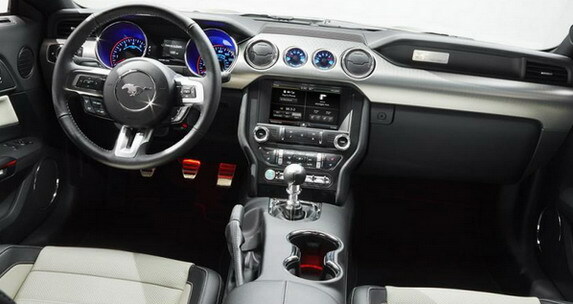 A variant of the new Mustang with a V6 engine and six-speed manual gearbox weighs 3527 lb, and the V6 with an automatic transmission has a 3529 lb. 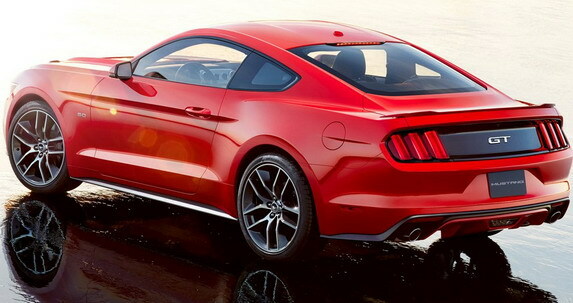 The model with the EcoBoost engine and manual gearbox weighs 3531 lbs. 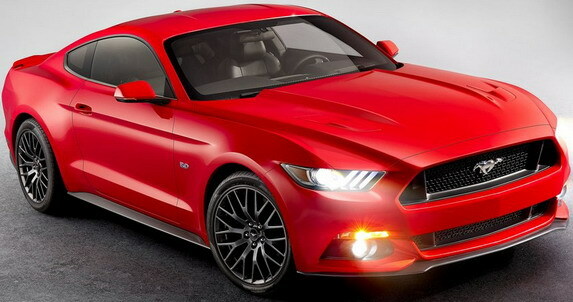 Mustang GT with tag and manual gearbox weighs 3703 lb, and the GT with an automatic transmission 3728 lb. 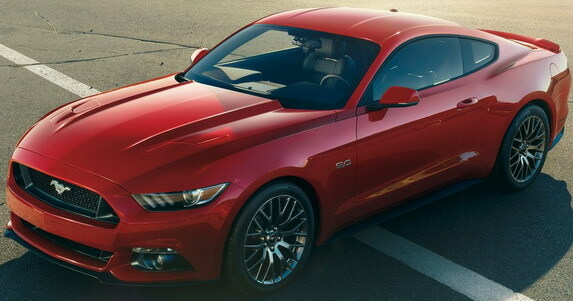 Head producer division of Ford, Raj Nair said that this was “the best and most advanced PERFORMANCE Mustang” that the company has ever made​​.